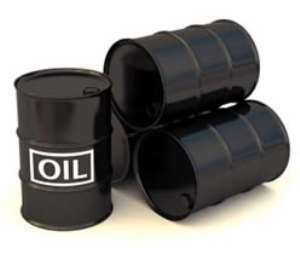 The Petroleum Commission has given the International Oil and Gas Companies (IOCs) and other service companies, till April 1, to submit every oil contract to the Commission for proper review before they are sealed. Mr Egbert Faibille Jnr, Acting Chief Executive Officer of the Petroleum Commission (PC), said all IOCs are being given a moratorium between now till the end of March, to submit all such contracts to the PC, within three months to the anticipated date for the start of the contract. Speaking at the first ever Local Content Procurement Conference held in Accra on Monday, Mr Faibille Jnr said most of the time, the IOCs would wait till the last minute before they would rush to the PC and put pressure on officials to sign such documents, in contravention with the regulatory laws, claiming if such document were not signed immediately, Ghana would lose money. 'We are not going to continue with that again and so that it is fair for Tullow, ENI, Springfield, MODEC and everybody', Mr Faibille Jnr said. He warned that those companies who failed to comply with the April 1 requirement would be made to face sanctions as required by the Regulation 2013 (LI 2204), and this includes fines and suspension of such contracts. Mr Faibille Jnr said IOCs were also required by the Regulations to advertise contracts and submit prequalification criteria and other basic information with the Commission before they were finally awarded, 'but they all don't do that'. The procurement conference organised by the PC was aimed at positioning local companies to adequately prepare to bid for and win contracts in the upstream petroleum industry. It helps to provide participants with information on the procurement needs of major international IOCs as well as contract and procurement opportunities in the industry for the year 2018. Mr Faibille Jnr said the maiden procurement conference was in fulfilment of the commitment of the Board and Management of the Commission to ensure transparency in the upstream Oil and Gas tender process and promote the participation of indigenous Ghanaian companies in the provision of goods and services in the sector. It was also to fulfil the Commission's mandate under Regulation 40 of the Petroleum (Local Content and Local Participation) Regulations, 2013 (L.I.2204), which mandated the PC to ensure that public education activities were undertaken to educate contractors, sub-contractors, licenses and other allied entities, among others, about the local content policy and philosophy. Mr Faibille Jnr said on assumption of office of the current Board in August 2017, it has received a number of complaints from companies that has registered to do business in the upstream oil and Gas sector, alleging the lack of business opportunities and accusations of lack of transparency in the award of contracts by the IOCs and service companies. 'We have critically examined all of these complaints and have arrived at a conclusion that the best way forward is to hold an annual procurement conference through which platform, all the procurement needs of IOCs and services companies for an ensuing year would be published with presentations to enable interested companies know what is available to be pitched for and the scope of such procurement contracts'. He said the procurement conference for 2019 shall be held sometime in the last quarter of 2018.